Ever since 2012, the GSI Helmholtz Center for Heavy Ion Research has been working on the research facility FAIR – Facility for Antiproton and Ion Research in Darmstadt. Part of this research facility is a particle accelerator with a circumference of 1.1 km. Basically, dewatering is used to keep unwanted groundwater out of the excavation, thus allowing safe and fast work. 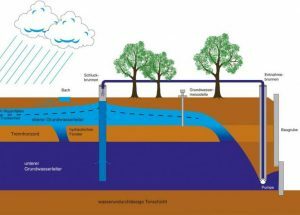 In the case of subsurface drainage systems – using pumps that regulate the groundwater level – it must always be ensured that the pumps at the extraction wells are functional. These transport the water not far from the excavation pit and return it to the hinterland, causing sinking funnels to form in the area of the excavation and preventing the water from escaping at the sole. 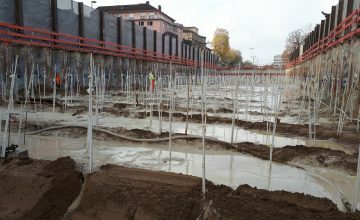 The water table is measured by level probes arranged around the construction field. In order to protect the habitat of native species of plants and animals, the extracted water is returned to the groundwater via absorption wells close to the construction site boundaries, so that the groundwater level can be kept within its natural range. In addition, the whole construction is planned in sections, keeping the interventions in the groundwater balance of the environment to a minimum. Environmental monitoring? – Made easy! Knowledge of the current water level and its changes is vital during the entire construction phase. Therefore, live monitoring of the water levels throughout the construction site is provided by eguana SCALES.water. Our system provides clocked data sets, accessible from anywhere in the world via our web platform. In addition, eguana MAPS (see picture above) provides an overview of all groundwater measuring points in the construction area. 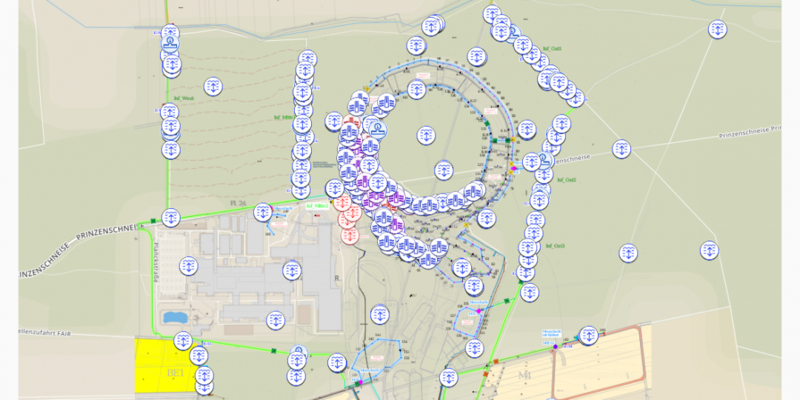 Different layers offers the possibility to individually show or hide background maps, construction sketches, objects and data. Furthermore, it offers the definition of limit values. If such values ​​are exceeded or approaching critical zones, the monitoring system provides immediate feedback. This is made possible by integrating third party systems which monitor limit values ​​and send alarm and status messages, appearing in eguana SCALES. Over the course of the installation, around 300 measuring points have already been integrated, which deliver between one and five measurement series per hour twice a day. Status updates of the control boxes are available every minute. Site planning intends for integrating numerous other data loggers in the course of execution, which we from eguana are already looking forward to. Michael holds a diploma in Civil Engineering and Infrastructure Management from the Vienna University of Technology, focusing on construction and geotechnical engineering. Before we won him over, he gained professional experience at -among others- PORR Bau GmbH or Züblin Spezialtiefbau GmbH. For us at eguana Michael is in charge of costumer contacts, from technical telephone support in the early morning, to ideas and improvements for SCALES develop and implement, or even directly on site in the tunnel. It seems that he spends most of his well earned free-time on vacation and we enjoy great photos from such exotic places as Brazil, Dubai, Australia, Cuba or Carinthia (yes, we have a real choice Viennese here).